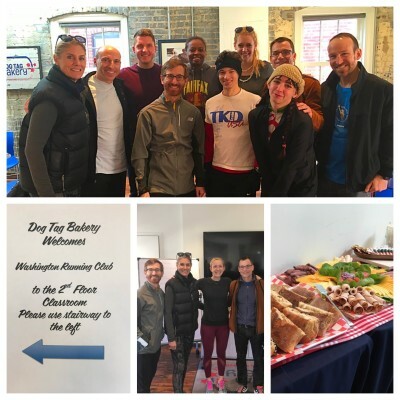 SDR for 2/28 — Cherry Blossom — parkrun! WRC runners take on parkrun! Congrats to former WRC president Kirk Masterson and to Helen Burns for sweeping the parkrun 5k last weekend! Kirk cinched the win in 18:29 – his first race in quite some time and a great race at that! Helen defended her first-place title, cruising to the finish in 19:57. Helen holds the course record of 19:32, and she’ll surely crush it this year! parkrun is a FREE timed 5k run that takes place every Saturday 9:00 a.m. at Fletcher’s Cove. It’s a great way to test your fitness and get out into the local community. Click here for more info. We’re meeting on Sunday, February 28 at 8:00 a.m. As always, we’ll have folks running anywhere from 8-20 miles in the 7:00/7:30, 8:00/8:30, and 10:00/10:30 pace groups, and Jordan Konig, our SDR Coordinator, suggests either the Rock Creek Park or the Tour de Virginia routes. We’ll meet at Dean & Deluca for coffee after the run. Race Coordinator, Julia Taylor, reports that the WRC Cherry Blossom teams are coming together nicely. 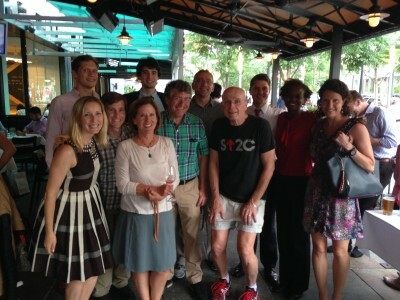 Stay tuned for the final team roster, and be sure to cheer on our runners at the race on April 3. If you’re not running Cherry Blossom but want to run a race with WRC in the future, send us a message! WRC Thirsty Third Thursday is THIS Thursday, February 18! A much warmer happy hour, but a happy hour nonetheless. Per the outcomes of the annual meeting, we’ll be hosting a happy hour every third Thursday of the month, aptly named “Thirsty Third Thursday”. The location will change each time to accommodate various work locations. Please join us for the Thirsty Third Thursday: first edition! When: Thursday, February 18 at 6:00 p.m.
Why: because we need to carb up for the SDR. And, why not?? Double the love this weekend with WRC! Happy Friday, WRC! The weather this weekend is tricky, so folks are welcome to meet on Sunday, February 14 and/or Monday, February 15 for long runs! Both runs will start in front of the CB2 store in Georgetown at 8:00 a.m. Distances will vary based on who’s there, but we usually run between 10-20 especially now that spring marathon season is ramping up. Please bundle up and be careful regardless of when you run. Send an email to lauren@washrun.org if you have questions and to let us know which day you’ll be there (for planning purposes). See you soon! Helen Burns has offered to serve as our Track Coordinator, but details of these workouts are still being worked out. Stay tuned for more information! THANK YOU to everyone who volunteered for the 2016 WRC Board. You play a critical role to the success of the club! A large portion of our meeting was spent discussing how to make WRC even better in 2016. Everyone contributed great ideas and I look forward to working with all of you to implement these ideas and help shape the club to the best it can be. Regular communications: we’ll send monthly newsletters, along with race and run information on an as-needed basis. “Race awareness” messages may also be sent to coordinate registration deadlines, team events, and transportation to races. Coordinated runs and workouts: WRC’s official run is the Sunday Distance Run, but many (if not all) of us run on a regular basis from varying locations. We invite you to post these runs and workouts on our Facebook Page to see if others in the group have an interest in joining you. parkrun event support: parkrun just started in Washington, DC and they need volunteers. This is great opportunity for WRC to support the local running community and network with other runners. “Lazy Person” Saturday Runs: a second regular WRC run in the making – stay tuned! Sunday Distance Run Location Changes: on occasion, we may switch up the starting location of our Sunday Distance Run. For example, we may start at Tris Krueger’s house and finish with a swim in his pool after, or even go on a weekend running retreat. WRC Gear: we want to show our WRC pride – what better way than through sweet gear? We’ll look into ways to make this happen. Remember, if you have other ideas, or want to help put these ideas into motion, please don’t hesitate to email me at lauren@washrun.org. Thank you to everyone who attended our Annual Meeting and to those who attended in spirit. We look forward to sharing many runs, happy hours, races – and whatever else 2016 brings – with you! P.S. Check out this snapshot of the party!